I have been planning to write this landscape photography guide for a long time, but held it off for a while, thinking that I could do a better job after learning about it more. My landscape photography journey has been a big learning curve and I have been enhancing my skills so much during the last few years, I realized that I could spend the rest of my life learning. Therefore, I decided to write what I know today and keep on enhancing this guide in the future with new techniques and tips. It is amazing to see how quickly the world is changing around us. What seemed to be intact and perfect just several years ago is getting destroyed by us humans. One of the reasons why I fell in love with photographing nature, is because it is not only my way of connecting with nature, but also my way of showing people that the beauty around us is very fragile and volatile. And if we don’t take any action now, all this beauty will someday cease to exist, not giving a chance for our future generations to enjoy it the same way we can today. Hundreds of movies have been filmed, thousands and thousands of great pictures taken and yet the world is not listening. What can we do and is there hope? It is very unfortunate that we only act when a disaster of a great scale hits us and the unbalanced force of nature enrages upon us. But we as photographers must continue to show the world the real picture out there – the deforestation of our rich lands, the pollution that is poisoning our fresh waters and causing widespread diseases, the melting of glaciers, the extinction of species and many other large-scale problems that are affecting the lives of millions of people and animals around the world. Therefore, it is our responsibility as photographers to show the real picture. 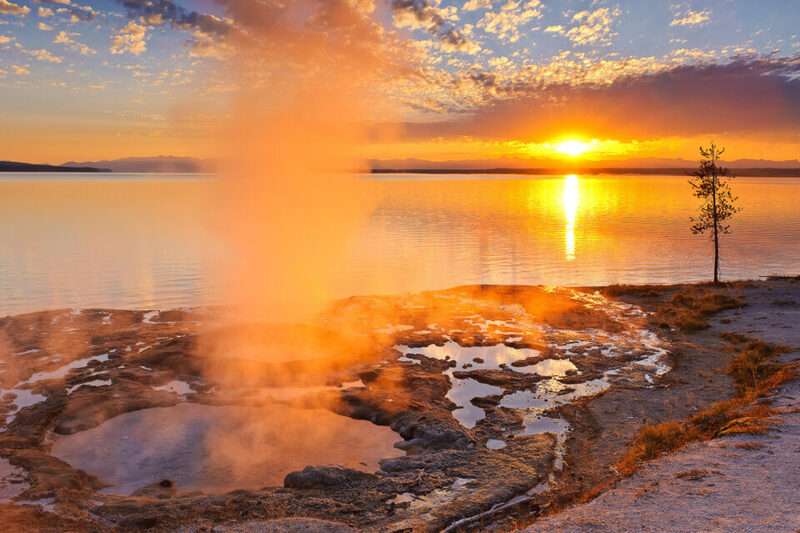 Landscape photography is a form of landscape art. While landscape art was popularized by Western painting and Chinese art more than a thousand years ago, the word “landscape” apparently entered the English dictionary only in the 19th century, purely as a term for works of art (according to Wikipedia). Landscape photography conveys the appreciation of the world through beautiful imagery of the nature that can be comprised of mountains, deserts, rivers, oceans, waterfalls, plants, animals and other God-made scenery or life. While most landscape photographers strive to show the pureness of nature without any human influence, given how much of the world has been changed by humans, depicting the nature together with man-made objects can also be considered a form of landscape photography. 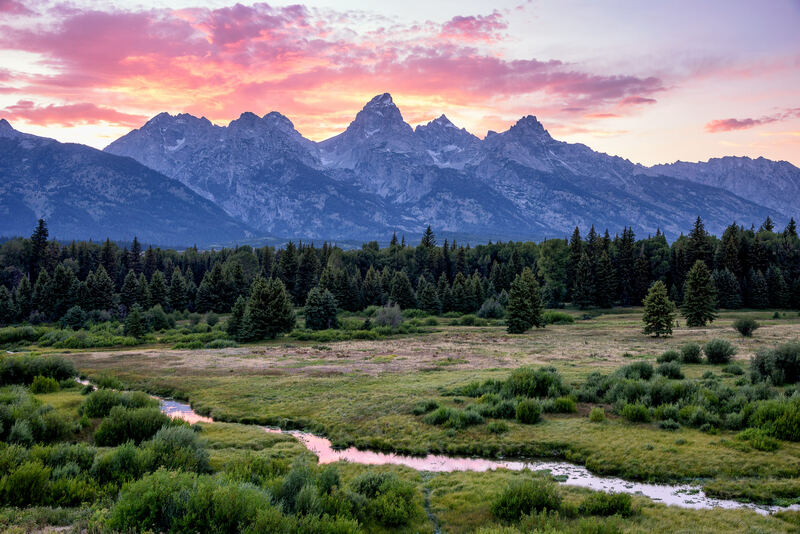 For example, the famous Mormon Row at the Grand Teton National Park has been a popular spot for photographing the beautiful Tetons in the background, with the old barns serving as foreground elements. 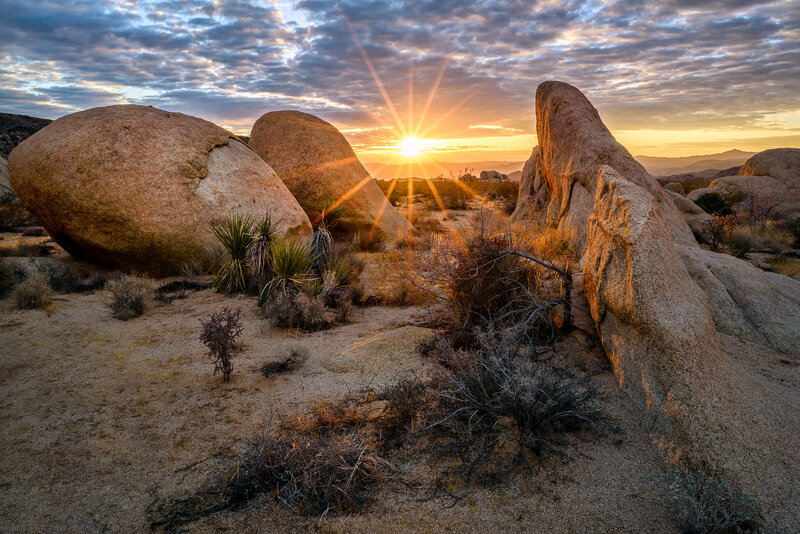 Photographing landscapes involves three key elements: photo equipment, skill/technique and light. Let’s look at all three elements one by one. At first, you might think that the weather was nice and pleasant when I captured this photo. 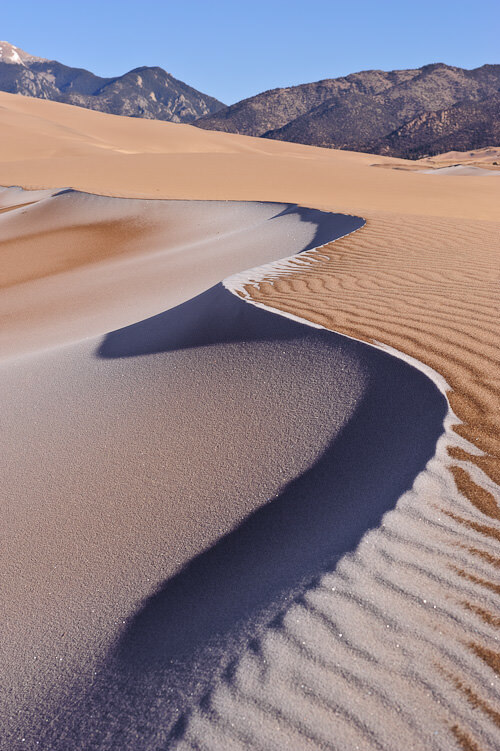 But the reality of the situation was quite the opposite – it was extremely cold and windy, with the sand hitting me on my face like those icy snowflakes hit you when you ski. 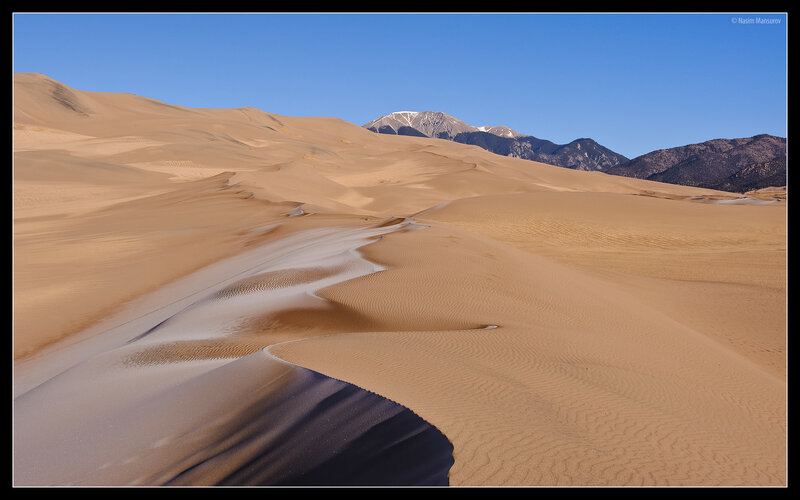 The Nikon D700 I carried that day suffered pretty badly, with the sand piling up in every dent and hole. My Nikon 24-70mm zoom ring was full of dust and I remember the screeching sound I had for months, because I could not get the sand out of it. My 24-70mm is still alive today and I have taken over 200,000 pictures with my D700 and it is still working perfectly fine. And this is just one example; I abused my camera gear like that countless times and always relied on it in the most challenging situations. What about camera capabilities? No matter how weather-resistant your camera is, it must be able to deliver images that are sharp and vibrant, with good contrast. That’s where having a camera with a large sensor/film, good support and a selection of good lenses/filters is important. Let’s talk about the gear in more details. 3.1) Camera Selection – Film or Digital? The question of digital vs film is a never-ending debate and I do not have any intentions to bring up another heated debate over which one is better. I will simply state what is true for landscape photography today and what works best. For most people, a high-resolution digital camera is the way to go, because it is going to be simpler to use and one can get pretty amazing results. 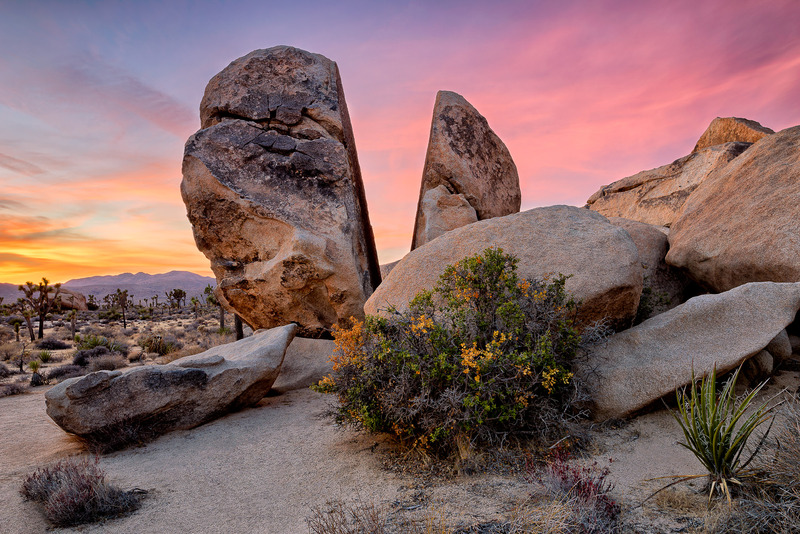 With digital, one can instantly preview images, take many exposures and combine them in post-processing, and even shoot multiple images to create a single panorama. Modern digital cameras today have excellent dynamic range that far surpasses that of film and it is very easy to nail things like focusing and exposure, especially with the right gear and technique. 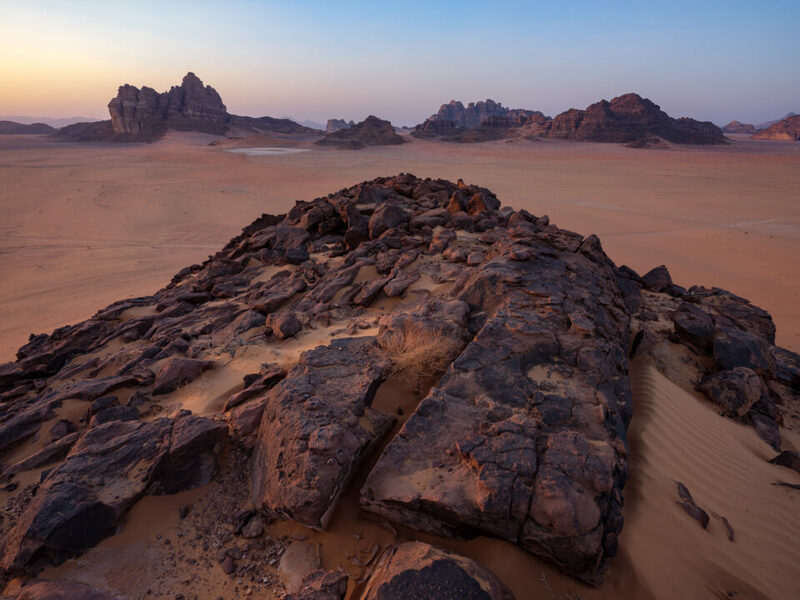 However, some photographers prefer to shoot landscapes with film using medium format and large format film cameras and if it is done right, it is possible to create spectacular images, with extreme detail and resolution. Film is certainly not for everyone, and the cost of owning and operating a large format film system can get quite high overtime, which is why most landscape photographers tend to use digital. There are many different film systems out there at different price points that all work great. If you shoot medium format, Mamiya, Rollei and Hasselblad medium-format systems are quite popular. There are many large format systems out there and the more popular ones seem to be by Sinar and Linhof, but there are many more great choices and sizes. The selection of lenses for both medium and large format systems is also huge with big names from brands like Nikon, Rodenstock and Schneider providing a good selection for all kinds of needs. Easiness of use, low cost, relatively short learning curve, immediate results, free unlimited exposures and much shorter post-processing time are the reasons why full-frame and cropped sensor camera systems became so popular. An entry-level DSLR or a mirrorless camera with all required accessories for photographing landscapes can be purchased for under $1,000 today. If one wants to step up to a full-frame camera, there are plenty of different high-resolution options from a number of different manufacturers such as Nikon, Canon, Sony and Pentax. And if that’s not enough, there are also medium format digital cameras available from companies like Fujifilm, Hasselblad, Phase One and Mamiya. There are plenty of choices for different needs and you will need to look into different options depending on your needs and your budget. 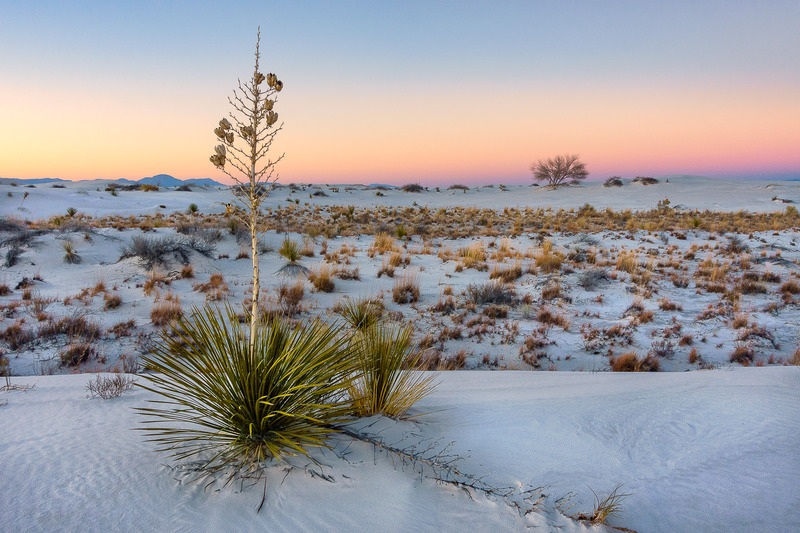 For those on tighter budgets, cheaper cropped sensor cameras are going to be less preferred, but most popular choices for landscape photography. Most popular because of low cost, and less preferred due to minimal weather-sealing, potentially decreased dynamic range and a smaller feature set compared to higher-end options. 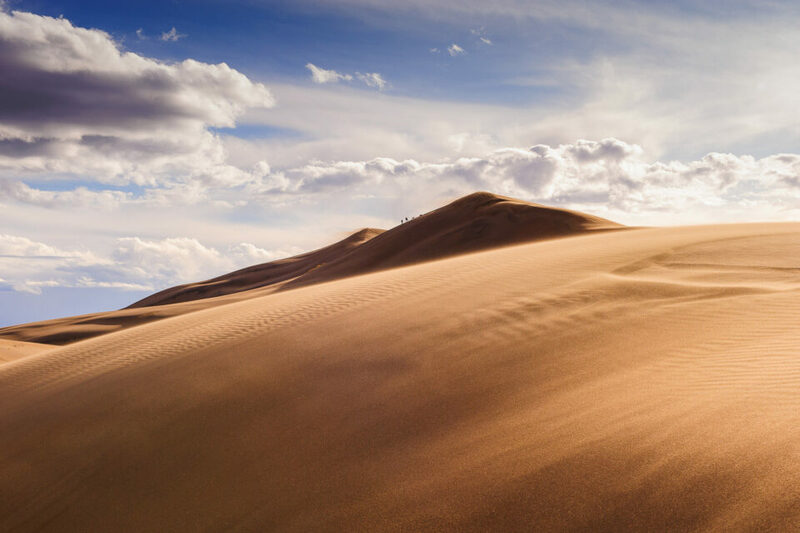 When photographing landscapes, you are often faced with harsh and extreme conditions, and you will need to be extra careful when photographing in dusty, rainy / humid, snowy and sub-zero temperatures in order to keep your equipment functioning. In comparison, higher-end cameras are often specifically designed with superb weather sealing to withstand the toughest weather conditions without negatively affecting their performance. Let’s now move on to lenses – a key part of the photography setup for landscapes. No matter how good your camera is, if the lens you have mounted on it is poor, you will get equally poor results. Lenses are like your eyes – if you have bad vision, the picture you see is going to be blurry. Therefore, it is extremely important to use lenses that have good contrast, great color reproduction and sharpness across the frame. When photographing portraits, the corner performance of the lenses is typically not important – your subject is going to be close to the center of the frame most of the time. However, when it comes to landscape photography, corner sharpness becomes almost equally important as center sharpness, since foreground elements can be located on the lower frame and sometimes touch corners. That’s why it is important to look beyond center performance of lenses when evaluating them for landscape photography. While selecting lenses, you have two selections – zoom lenses and prime / fixed lenses. For landscape photography, prime lenses used to be the number one choice (and still are for large/medium format film). However, with the latest advancements in optical technology, manufacturers are able to produce exceptionally good zoom lenses that match and sometimes even surpass the quality and sharpness of prime lenses. Zoom lenses have a big advantage over prime lenses due to their ability to zoom in / out, which I personally find very important for landscape photography. I have been in many situations, where I had to stand at a particular spot and could not physically move to frame my shot. In such situations, it is helpful to be able to use a zoom lens to get proper framing. I personally often carry both with me, which gives me greater flexibility, but if I were to choose only one lens, it would certainly be a zoom. Unfortunately, for medium format and large format systems, prime lenses are often the only choices that are available. So, what are the best lenses for landscape photography? With so many different prime and zoom lenses available from a variety of different manufacturers, it can get quite difficult to make the right selection, especially for a beginner. Personally, instead of focusing on one do-it-all lens that covers everything from wide-angle to telephoto, I would recommend to go for a set of high-quality lenses that will cover most of your needs. A good landscape photography lens kit should be comprised of a set of lenses from ultra-wide angle to telephoto. An ultra-wide angle lens will allow you to get close to subjects and show their grandeur; a normal range lens will probably be the most used lens in your arsenal for photographing most subjects, whereas a telephoto lens will allow you to focus on a particular feature of the landscape in front of you, or to perhaps photograph distant subjects. To cover these needs, landscape photographers come up with their set of “trinity” lenses, such as 14-24mm f/2.8, 24-70mm f/2.8 and 70-200mm f/2.8 lenses. Such lenses are typically of very high quality and are considered to be professional-grade lenses. Those on tighter budgets or who want to stay light often end up going for slower f/4 lenses such as 16-35mm f/4, 24-120mm f/4 and 70-200mm f/4, which can also be excellent choices for landscape photography. And those who shoot with cropped sensor cameras often end up with smaller and lighter lenses that cover similar equivalent focal lengths, such as 10-24mm, 16-85mm and 50-150mm, depending on sensor size / crop factor. While such a “trinity” of zoom lenses can be very useful to cover most landscape photography needs, some prime lenses can be still very useful to have in the field. For example, if you want to get into astrophotography, you will need a high-quality lens that is both wide-enough and fast enough to be usable for capturing the night sky. Zoom lenses, especially those that are f/4 and slower, are typically very limiting for astrophotography, which is why it is also helpful to have at least one prime lens in your camera bag. Personally, I really like the Nikon 20mm f/1.8G lens and find it to be an excellent, lightweight lens that can be very useful in the field for this reason. Those who prefer the quality of prime lenses to zooms will often end up going for a kit that is comprised of the following focal lengths: 14mm, 20mm, 35mm and 50mm. For telephoto needs, most prime shooters still opt for something like a 70-200mm f/2.8 or f/4, since prime telephoto lenses are often quite large and expensive. As you can see, the image was captured with a shutter speed of 30 seconds – there is no way I could have held the camera in my hands for that long without making the image look blurry! I personally consider a tripod to be a must-have tool rather than an optional accessory. I once talked to a well-known landscape photographer about camera support and he stated that he could not think or compose his images until he put his camera on a tripod, even when shooting on a bright sunny day. 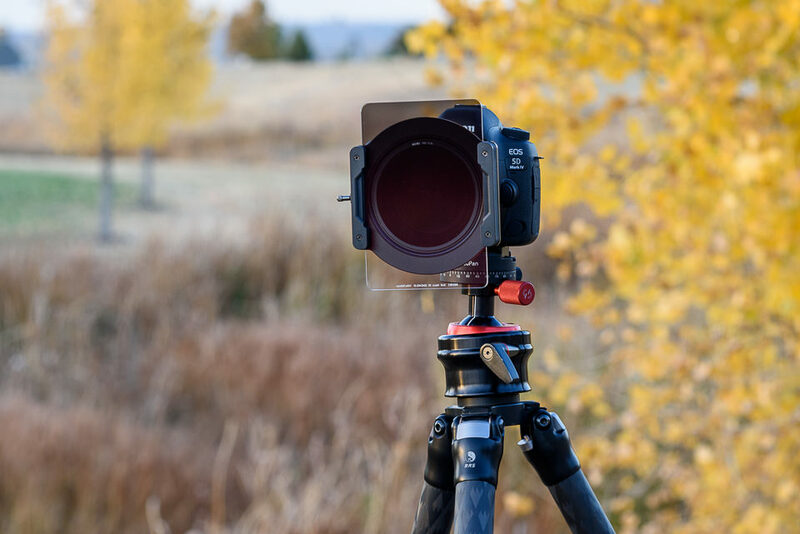 If you struggle with badly aligned, blurry or noisy images, you might want to invest in a solid tripod – it will pay for itself very quickly, especially once you factor in your travel expenses and your time! Don’t go for a cheap, flimsy tripod either. If you are still trying to figure out if landscape photography is for you or not, then by all means, go for a cheap, plastic tripod when you start out. However, if landscape photography is something you are genuinely interested in, then skip everything in the middle and go for a high-end tripod. Over the years, you will go through many cameras and lenses, but a solid tripod is something you will always keep reusing – it is always a worthy long-term investment. Don’t make the mistake of buying several tripods. Not only will you end up wasting more money, but you will also end up with a lot of frustration in the field. If you want to find out more about tripods and if you need help choosing a good tripod for your photography, check out my detailed “how to buy a tripod” article. Let’s now move on to filters. Any experienced landscape photographer will tell you that filters are an essential and integral part of their landscape photography kit. Some shots are simply impossible to capture without specialized filters. There are three types of filters that I personally classify as “requirements” for landscape photography: Circular Polarizing Filter, Neutral Density Filter and Graduated Neutral Density Filter. Let’s take a look at each one individually. The use of the CPL helped drastically reduce water reflections in the foliage right after rain, resulting in enhanced color and contrast. The CPL also helped bring out the colors of the rainbow, which glowed with deep red colors at sunset. While you can see some reflections in the water, those reflections are actually heavily reduced, thanks to the CPL that I had mounted on my lens. If it wasn’t for the CPL, the brightness of the reflections coming from the rocks would have competed with the white color of the falling water, making the image look much worse in comparison. It was a very hazy day in Wadi Rum, so using a CPL was essential in order to bring out the features of the mountains in the distance. Polarizing filters can be a bit challenging to use, especially for those who have never used them before. You also have to be very careful when deploying them on wide angle lenses. If you want to know more about polarizing filters, I have written a detailed article on how to use polarizing filters, with plenty of examples and useful information. 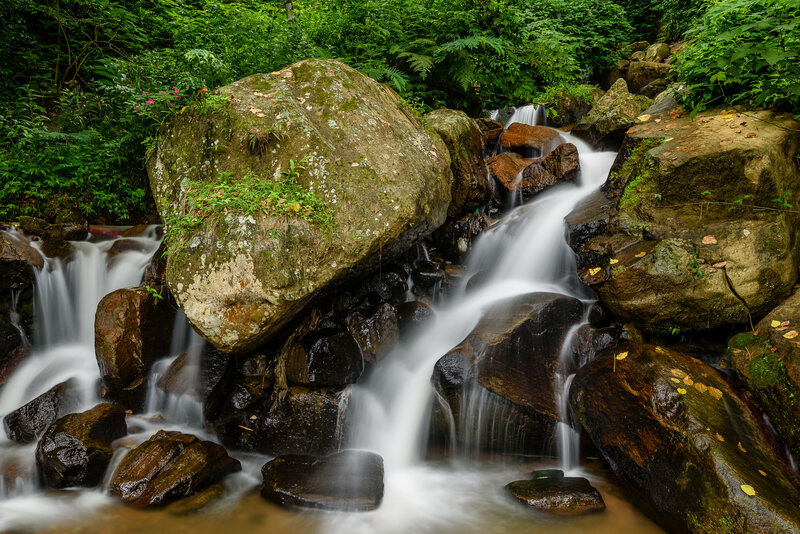 Do you know how images of waterfalls with silky and smooth-looking, milky water are captured? 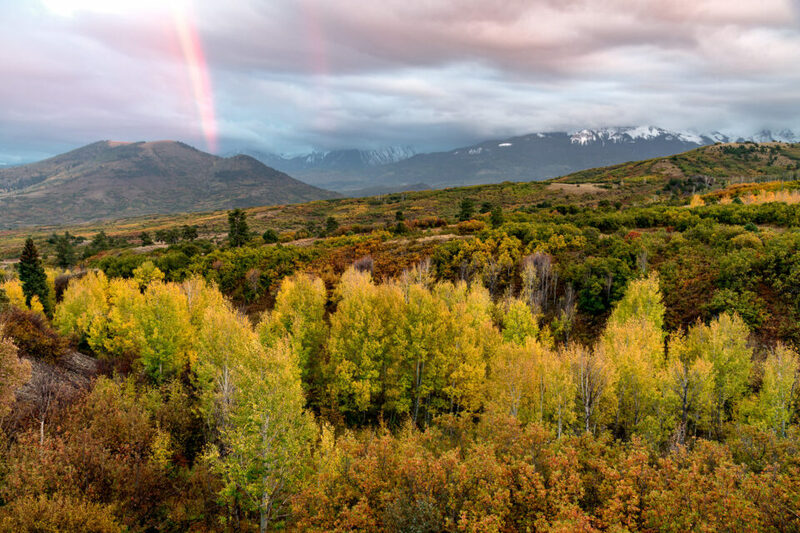 For many of such images, photographers intentionally use Neutral Density (ND) filters that only let very little light through, which basically increases the length of the exposure. While one could stop down their lens to a very small aperture in order to reduce the amount of light reaching the camera sensor, doing so often does not block enough light to make the water look smooth. Plus, small apertures result in less detail in images due to the effect of diffraction, so it is best to use a proper filter instead, while using the best aperture. 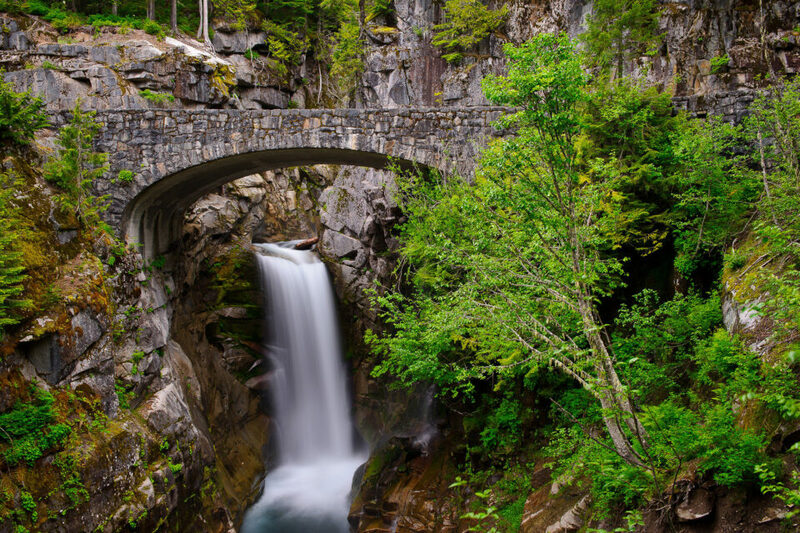 Some polarizing filters are dark enough on their own that you could just use them instead of using an ND filter to create beautiful waterfall images, instead of a combination of an ND + CPL. The above image would have been very difficult to capture without a GND filter, because the sky was so much brighter compared to the foreground. By holding a 3-stop GND filter in front of the lens, I was able to bring down the brightness of the sky and preserve its colors. Without a filter, I would have been forced to bracket my shots in order to create an HDR or blend images in Photoshop, which would have taken me more time and effort. One major hassle with GND filters, is that they take up more space than CPLs do, since they are larger rectangular filters (there are some circular GNDs out there, but you should never buy and use those). Why? Because with rectangular filters you are able to control the point from which the scene will turn from dark into clear. In one scene, the sky might take up 20% of the image, while in another one with beautiful clouds it might take up 50% or more of the image. That’s where you will need to move the graduated filter up and down to accommodate different situations. In order to be able to do this, you will need a filter holder system with rectangular filters. I personally use the NiSi Filter Holder system, but there are many others to choose from. Now that you know what camera gear you need, let’s move on to the fun part – photo technique, which is comprised of three parts: Camera Gear Technique, Composition and Post-Processing Technique. These three elements are all equally important in landscape photography and you have to master them all in order to be able to produce great-looking images that you could potentially showcase and even sell. The first thing you need to learn how to use properly, is obviously your camera. If you have never used a DSLR or a mirrorless camera before, get prepared for an intensive learning process. First, you need to master the three pillars of photography: Aperture, Shutter Speed and ISO. Once you get a good grasp of these individually, you will then need to understand how they work together. Next, I would start reading up on such basics as Exposure Stops, camera modes, metering modes and RAW vs JPEG. From there, visit our “Photography Tips for Beginners” page and start reading other beginner-level articles that will bring you up to speed on the most important photography topics. If you are able to comfortably shoot in Manual Mode while being able to adjust the exposure by increasing/decreasing the ISO, your basic knowledge of the camera is pretty solid. Camera Mode: Manual. 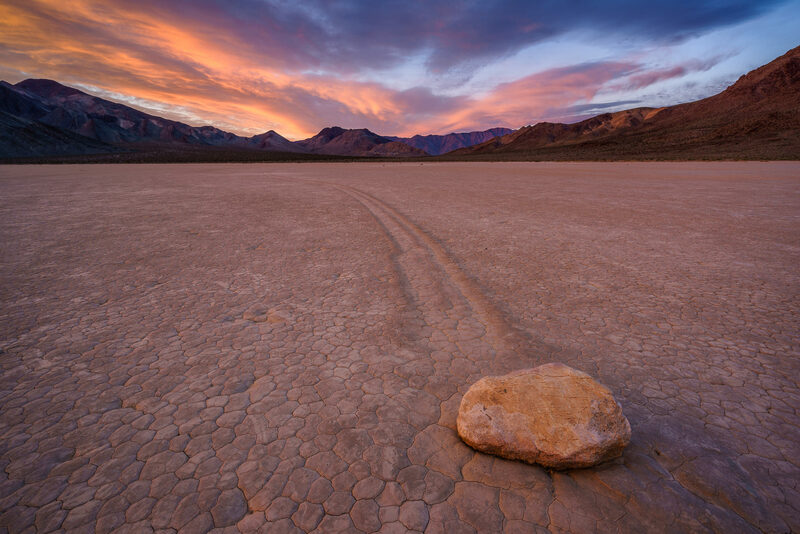 Learn how to shoot landscapes in manual mode. Use the built-in camera meter to see if you need to increase or decrease the shutter speed. Aperture: Start at f/5.6 and stop down based on how much of the foreground and background you need to keep sharp. Try not to shoot beyond f/8 (on DX) and f/11 (on FX) to avoid diffraction. Shutter Speed: Doesn’t matter, since you will be using a tripod and adjusting the shutter speed based on what your camera meters. In some cases, when you need to freeze or blur movement, you will have to adjust the shutter speed accordingly by changing aperture and / or ISO, or by using a filter. ISO: Whatever your camera’s base ISO is (typically ISO 64 or ISO 100). If you have a setting for “Auto ISO” on your camera, turn it off. Image Format: Obviously RAW, Lossless Compressed or Uncompressed (if Lossless Compressed is not available). Set camera bit-rate to the highest number (if available). Many professional cameras allow shooting 14-bit RAW. White Balance: Auto, since it doesn’t matter if you shoot RAW – you can easily change White Balance in post-production. Color Profile: Doesn’t matter, but you might want to choose AdobeRGB for slightly more accurate histograms. High ISO Noise Reduction: Off, you should not be shooting at high ISOs anyway. Long Exposure Noise Reduction: On, since it helps reduce noise when shooting long exposures. This setting affects the actual RAW file, so it is a good idea to keep it on by default. Vignette Reduction and Other Lens Corrections: Off, best to deal with it in post-production. Back Button Focusing: Move your focusing from the shutter release button to a dedicated button on the back of your camera (see focus and recompose). Some cameras might not have this feature, but most do. Most DSLRs and mirrorless cameras either have a dedicated AF-ON button or an AE-L/AF-L button on the back of the camera that can be programmed for autofocus. By switching focusing to a dedicated button, you can focus just once with your thumb, then continue taking pictures without needing to refocus each time. Keep in mind that if you change the focal length of the lens by zooming in / out, you will need to re-acquire focus each time! Autofocus: It is up to you whether to keep autofocus on, or switch to manual focus. No matter which focusing method you choose, make sure to use your camera’s live view screen to zoom in tight and focus accurately. 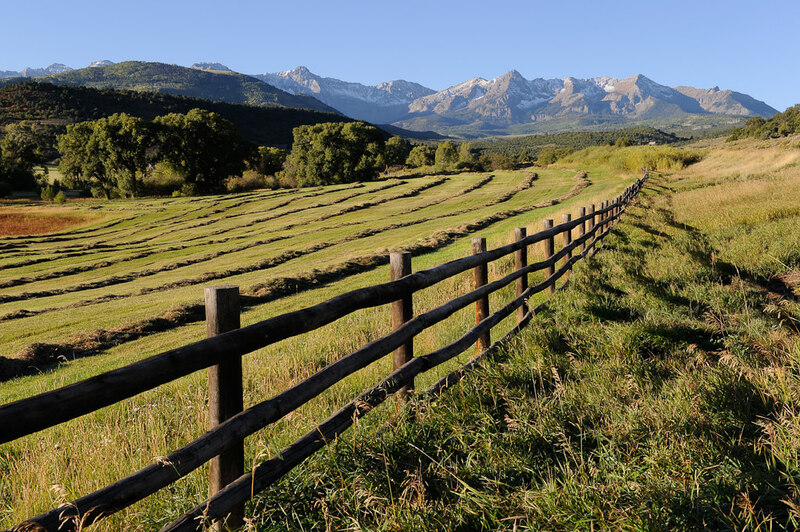 When you photograph landscapes, it is vital to understand the concept of depth of field very well. One of the biggest challenges of landscape photography is to master lens focus and make everything look acceptably sharp. Why is that a challenge, you might ask? Because optics have certain limitations and it is not always possible to bring everything from foreground to background into perfect focus, especially when some objects are very close and others are very far. A good way to illustrate this is to do a quick experiment with your eyes. You will need two objects that can stand on a flat surface – a small and a large object (like a dice and a box of playing cards). Place the larger object vertically about 10 feet away from where you are on a straight surface like a table. Then move back to your position and while holding the smaller object with your index and thumb fingers, extend your hand half way, pointing it towards the larger object. Focus your eyes on the smaller object. Note how blurry the background is and how blurry the larger object is, almost to the point where it blends with other background objects. Now, take the smaller object and place it by the larger object and move back again to your position. Take a look at the smaller object from this distance now. This time, you will notice that both objects look sharp to you and even if you move the smaller object a little away from the larger one, it will not make a difference. The larger object will not get completely blurred like it did when you looked at the smaller object from a close distance. This very simple experiment demonstrates how lenses focus and how subject distance impacts sharpness. While our eyes work like a fixed 50mm lens, camera lenses allow us to capture much wider perspectives, or allow us to get closer to our subjects. Without understanding the relationship between lens focal length, aperture and camera to subject distance, focusing for landscape photography can get rather difficult. For example, if you were photographing a starfish on a beach from a close distance and wanted to get the background horizon to be equally sharp as the starfish, which would you focus on – the starfish or the background? Would you be using a wide-angle or a telephoto lens to get both in focus? What aperture would you be using? 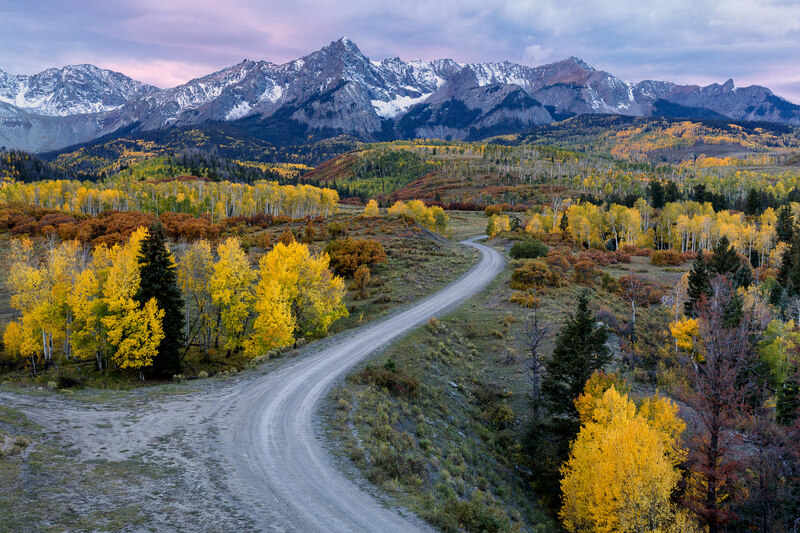 A good landscape photographer should know answers to all of these questions and come up with the right solution to the problem. For example, I would have certainly used a wide-angle lens (since longer focal lengths would only isolate the subject more), a relatively high aperture number between f/8 and f/16 and would have focused on an area somewhere between the starfish and the background. Where exactly would I focus? This is where you need to understand what hyperfocal distance is and how to find it. The best way to calculate hyperfocal distance is to use “the double the distance method”, where you approximate the distance from your camera to the nearest subject you want to be sharp, then simply double that distance. In the example with the starfish, if I knew that the starfish was 5 feet away from my camera, the hyperfocal distance would be at 10 feet (double distance), as simple as that! From there, I would have to roughly estimate where the 10 foot mark is for me to focus on (say a piece of rock in sand), then use my camera’s live view screen to focus on that rock and I’m set. With my hyperfocal distance in the right spot of the frame, I would have to play with my camera’s aperture to get to the point where everything looks reasonably sharp. If I’m maxed out on aperture and the scene is still not sharp, then I’m simply too close to the subject. I either have to use a wider lens, or physically move away from the subject. Some photographers give advice to focus somewhere in the middle of the frame or a third of the way, without knowing all the variables mentioned above. I would be careful listening to such advice, since you will often end up getting yourself frustrated with blurry images. The double the distance method works very well and it is easy to use in the field. Bear in mind that hyperfocal distance calculators are not designed for modern high resolution digital cameras, so I wouldn’t recommend them for landscape photography (see Spencer’s article on why hyperfocal distance charts are wrong). In addition, why waste your time looking things up, if all you have to do is estimate the distance to your subject and then double it? It is simple and it works! When you face tough lighting situations, where you have a huge difference in contrast between the darks and the whites, shoot in brackets of 3 to 5 (depending on your camera capabilities). Bracketing not only allows you to try post-processing techniques like HDR, but it also gives you options for better exposure (see Iliah Borg’s excellent article “when in doubt, bracket“). You might choose one exposure over another and then further work on it in Lightroom or Photoshop. You might pick some parts of one image and merge them with another image using masking and other blending techniques in Photoshop or other software. Simply put, you will have more options to recover information from your images. 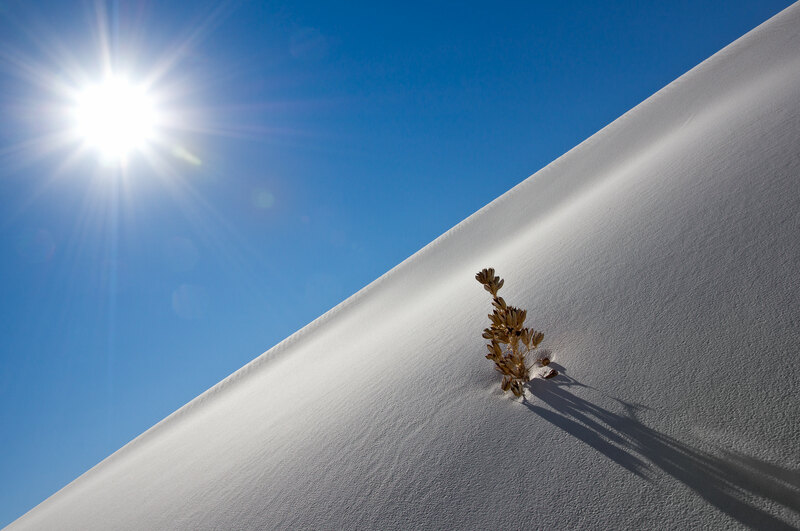 Composition is a key element of every type of photography, including landscape photography. Without good composition, pictures can look plain, lifeless and boring. How should you compose your images and are there any rules for composition? What is good and bad composition? How should you frame your shots? I get these kinds of questions from our readers every once in a while, so I decided to write about it in more detail in this article. Communicate through your photographs – every photograph should have a particular message attached to it. What are you trying to say? What is your story? What is the mood of your photograph? Will the viewer feel amused by the power of nature that you are trying to show, or feel crushed by the dark, dreadful clouds in your image? Or perhaps the viewer should just enjoy the beauty of the colors you are trying to show? Your image needs to be able to communicate and bond with the viewer, triggering their emotions. Identify your subject(s) – every photograph should contain the most prominent / important subject you are trying to show to your viewer, which is your primary subject. There might be other secondary, tertiary and supporting elements in the scene as well. Learn how to properly identify the most important subjects in your images. Once you do that, you will be able to compose your images better, because you will be paying close attention to your subjects. Scout the area beforehand – you never know what might be around you. Scout the area before the best light kicks in and find the best spots to be in. How many times have you been in situations where the light is perfect, the subject is perfect, but you are standing in a bad spot? Avoid those kinds of problems by doing the homework early. Slow down and be patient – if you are not photographing wildlife or other fast-moving elements, slow down and take the time to compose your shot. Wait for the right moment, the right light and be patient. Take pictures, then wait more – your best photo might be minutes or seconds away. Align / level your photograph before taking a picture – while composing, make sure that your frame is properly aligned. If it is not, you will have to align it in post-production and you will ultimately lose some of the image. I personally use the horizontal and vertical lines inside my viewfinder to align my camera most of the time, which works great. Looks much better, doesn’t it? You can concentrate on looking at the beautiful mountains and their reflection, without getting disturbed by other unnecessary objects in the scene. 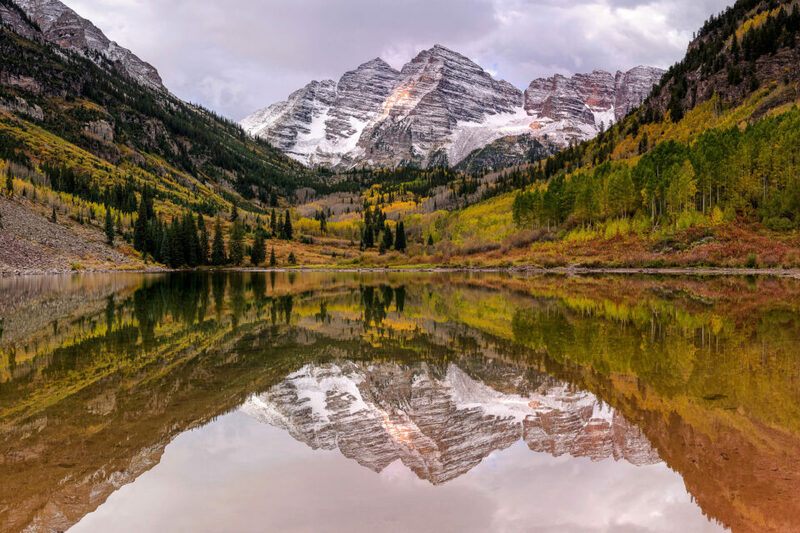 Balance your shot through symmetry – one more thing to keep in mind when photographing landscapes, especially reflections, is to achieve a “balance” – one part of the image should not heavily outweigh the other. 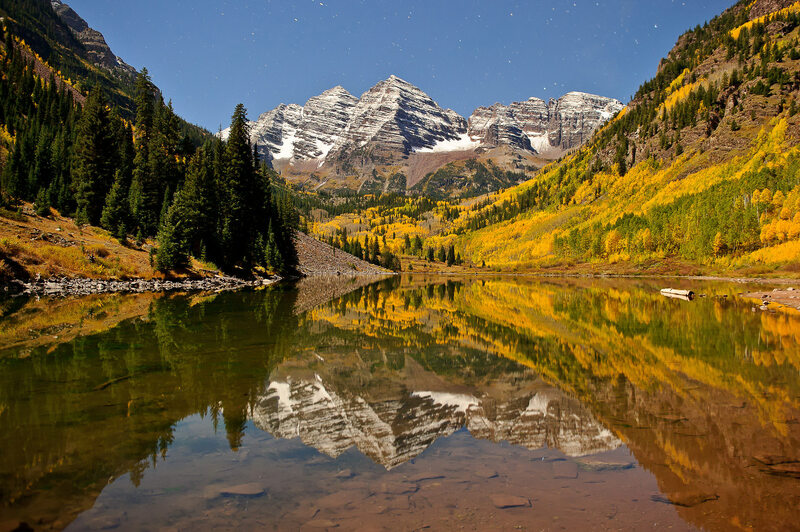 You can achieve this through symmetry, as shown in the above image of Maroon Bells. Fit main subjects in the frame – if you have trees, single bushes or other objects in your corner frame, try to either fit them into the frame, or exclude them completely. There will be situations when it is too difficult or impossible to do that, but try your best to fit everything in the frame. As you can see from the above image, I tried my best to fit everything that I considered to be important in the image, whether it is the elongated rock on the bottom left side of the frame, the bush below it, or the yucca on the bottom right side of the frame. Since the large rocks to the right side of the frame were not the key elements of my image, I felt that it was OK to cut into them with my framing. The primary subject here is obviously the split rock, followed by the large green plant below it that serves as my secondary subject, whereas other elements in the scene serve as tertiary and supporting elements. See my Dissecting a Photograph: The Split Rock article for more information on what went into making the above image work. Carefully frame your shot – when I started out my journey in photography, I rarely ever paid attention to proper framing – I would just point my camera and take a picture. I ended up with thousands of useless pictures… It is very unfortunate, because I had very unique moments with beautiful sunsets, cloud formations and good light, but just because of my own errors, those pictures are all useless. Learn how to properly frame your shots and think before you press the camera shutter. Don’t just point and shoot like you used to before, but think about your subject, lighting, composition and framing. Don’t get stuck with horizontals – I personally prefer taking horizontal images of landscape, but I do take a lot of verticals as well. In some cases, try doing both and give yourself a chance to choose which one is better later. Sometimes vertical shots communicate better than horizontals. Also, when you print your work, you might want to have a mix of both verticals and horizontals. The tip of the mountain is almost touching the top frame, which is not good. If I had some clouds that day, I would have probably included more of the sky, but I purposefully reduced the sky to have the viewer concentrate on the old building with the walking man. While I still left some space in between the mountain and the top of the frame, there isn’t enough “breathing space” between the two. Do you think it is possible for the rock in the foreground to be larger in size than the hill in the distance? Of course not! But that’s what wide-angle lenses do – they make subjects at close distances appear enormously large compared to everything else in the background. Step away from your subjects and they become minuscule, disappearing with the background and leaving a ton of empty space. Wide-angle lenses can create stunning images, but you need to know how to properly use them by getting closer to your primary subject and paying close attention to the background and framing. Lastly, be careful when using fisheye-type lenses – if you don’t pay close attention and you angle your camera a bit too low, you might end up with your own feet in your images! In the above scene, two lines are formed by the evergreen trees, which I also used as references for establishing a horizon line. The third line is formed by the small stream in the foreground, which helps add interest to the foreground of the scene. 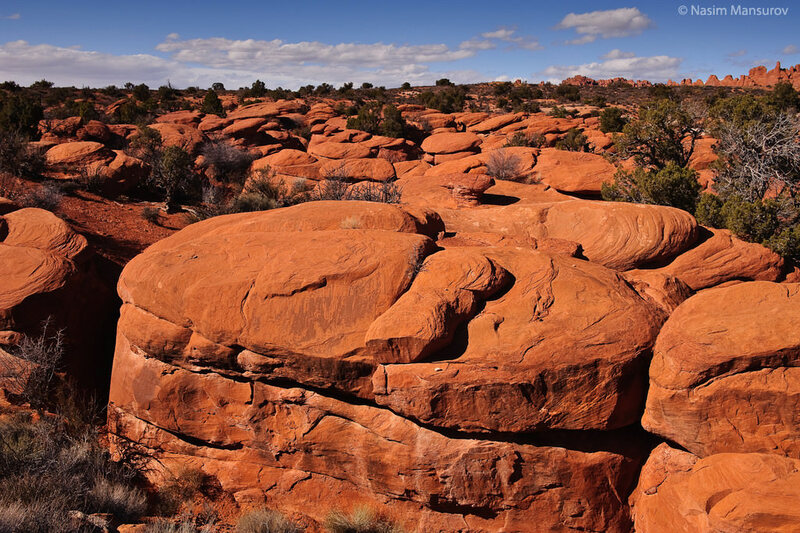 One can easily tell that the large boulders in the above image are located in different areas of the scene, which adds depth to the photograph. Look for patterns and lines – always be on the lookout for patterns and lines in the scene. Use tighter framing – if you have a zoom lens, you can often improve your composition by moving away from your subject and zooming in tighter in order to eliminate other distractions around the subject. For the above shot, I zoomed in to 100mm with my Nikon 70-200mm f/2.8G VR II lens to focus on the slightly curved diagonal branches. With a wider lens/shorter focal length, I would have captured a lot of other objects around. A desktop wallpaper version of the above image can be downloaded from here. 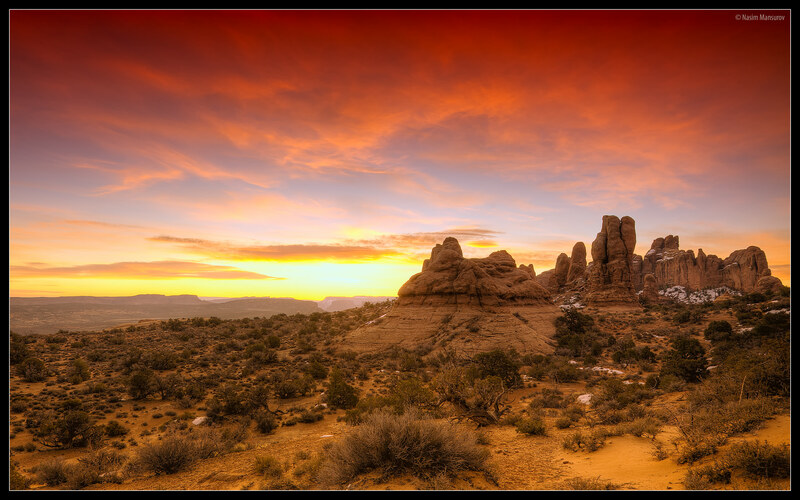 Try taking panoramic images – rather than being stuck with square or rectangular images, try shooting panoramic images. You can either crop images to be panoramic (see below on cropping) or you can shoot a bunch of vertical or horizontal frames and then stitch them together in Photoshop or other third party software. I have a detailed guide on how to photograph panoramas and you can find plenty of information on how to properly photograph panoramas there. While the above composition guidelines are there to help you, feel free to play around and do something different – after-all, photographs are created by your vision and your creativity. Post-processing is an integral part of landscape photography. I remember once seeing a small photography contest online and one of the rules said to submit only original, untouched photographs. Apparently, the contest organizers thought that post-processing images was an unfair practice and they did not want one person to have an advantage over another, just because of better Photoshop skills. I personally think that such rules are silly. Is it unfair when one photographer can use Photoshop better than another? Ansel Adams, the master of landscape photography was a darkroom magician. He spent countless hours working on his images and I am sure that if he was alive today, he would have loved Photoshop! How are Ansel’s post-processing skills in the darkroom different than someone’s Photoshop skills? Knowing how to post-process images is a big part of every photographer’s life today. And that’s a fact. At the same time, you hear many photographers say “do everything right in camera”. I mostly agree with this statement – when it comes to landscape photography, it is best to minimize post-processing efforts and do as much as possible in the camera. It is one thing to photograph a scene with a heavily overexposed sky, thinking you can fix it later in Photoshop and another to use filters and other tools to expose the sky at least partially right, so that you could finish it up in Lightroom/Photoshop. 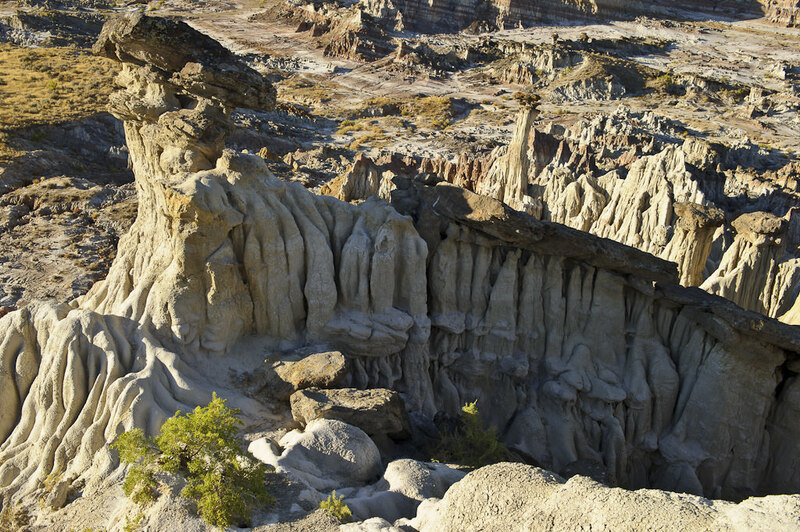 Some things like the effect of a polarizing filter cannot be replicated in post-processing. Other things take enormous amounts of time to fix. Just learn to balance your workflow and you should be in good shape. When it comes to cropping, I highly recommend minimizing your cropping efforts for landscape photography if you shoot digital. The main reason is that cropping results in smaller images, which means smaller prints. If you are just posting images for the web you can certainly crop as much as you want, but what if somebody gets interested in buying a large print of your photograph after seeing it on the web? That’s where cropping might hurt your image. If you shoot medium format or large format film, you have a lot more resolution, so slight cropping is generally not a problem. But I would still frame your images right from the very beginning, instead of having to resort to cropping later. The type of cropping you certainly want to avoid, is cutting verticals out of a horizontal image and vice versa – you will lose half of your resolution (if not more) by doing that. Aligning and leveling images also results in cropping and losing resolution. Therefore, as I have recommended above under “composition”, you should always align and level your camera before taking pictures. Other than that, very slight cropping to improve your composition and remove clutter is quite normal. I personally do crop some images when necessary as well. A good lens that is able to resolve a lot of detail and is sharp from center to corners. A high-quality film or digital camera with plenty of resolution. Good camera technique by the photographer that can set proper exposure, acquire correct focus and eliminate camera shake. Good post-processing skills by the photographer for adding additional sharpening for printing/publishing. All of the above depend on each other. You might have the best post-processing skills, but if your lens is soft, you will never be able to get sharp results. Similarly, you might have the sharpest lens in the world and yet if you cannot set the right exposure and calculate your focus point correctly, you will end up with a blurry image that you cannot fix by sharpening. If you have the right gear and camera technique, sharpening images in post-processing is easy. Take a look at my article on how to sharpen images in Lightroom to get an idea. You can also use special plugins in Photoshop for selective sharpening and they also work great. Other than sharpening and cropping, there are many different ways to improve your photographs. You can darken the sky and make it look more blue, you can saturate some of the colors more, you can add more contrast to your images, you can convert images to black and white and much much more. I am not going to go through all of these techniques, since there is just too much to cover, but you can get started by reading my Lightroom landscape photography post-processing tutorial, where I share some simple techniques to make your landscape photographs look better without using Photoshop. You can find some other tutorials in my growing “Post-processing tips for Beginners” section. Although I did brighten up the shadows a little, the image still looks unbalanced and the shadows are too distracting to the eye. It is actually not just over-saturated, but also underexposed. Sometimes underexposing can result in too much color saturation as well. Even some of my recent images look over-saturated to me, so I have been actually decreasing saturation levels in Lightroom. When you work on your images, make sure that your monitor is calibrated. You do not want to be editing images using a non-calibrated monitor, because your colors might be way off. I have an article on “how to calibrate your monitor“, in case you do not know where to start. 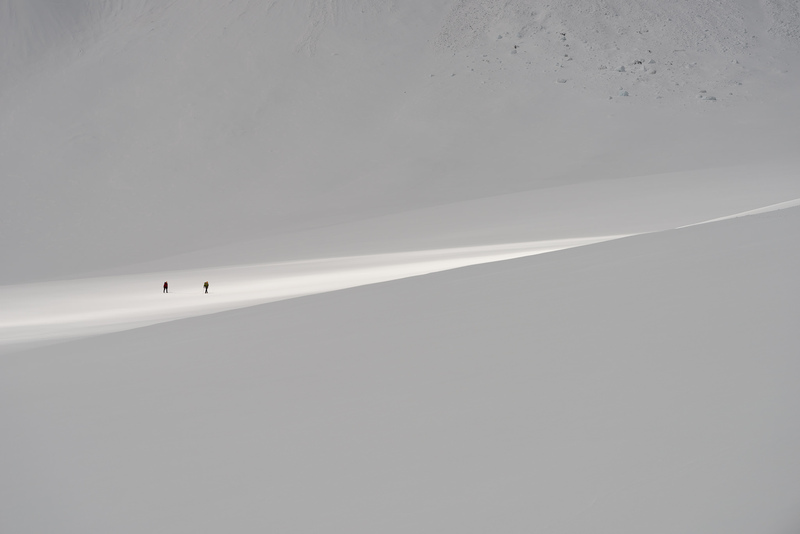 Let’s move on to talk about Light – the third most important element of landscape photography. I know many photographers will argue that it is the “first” in terms of importance – and I agree. Although photo equipment and skill/technique are certainly important, no photograph can look good without beautiful light. Portrait photographers can work with pretty much any light, because they have powerful external flashes that can imitate natural light. Landscape photographers do not have such luxury – we have to work with the available light all the time (except when painting some foreground objects with flashlight). What is the best light? What are the best times of the day? Or best times of the year? Let’s see if I can answer some of these in more detail. The best landscape pictures are either taken at sunrise or sunset. I personally prefer sunrise/early morning light than sunset/late afternoon light, because it seems like there is less haze in the morning (obviously depends on many factors, pollution, wind, wildfires, etc). But it all depends on the direction of the subject I want to photograph. 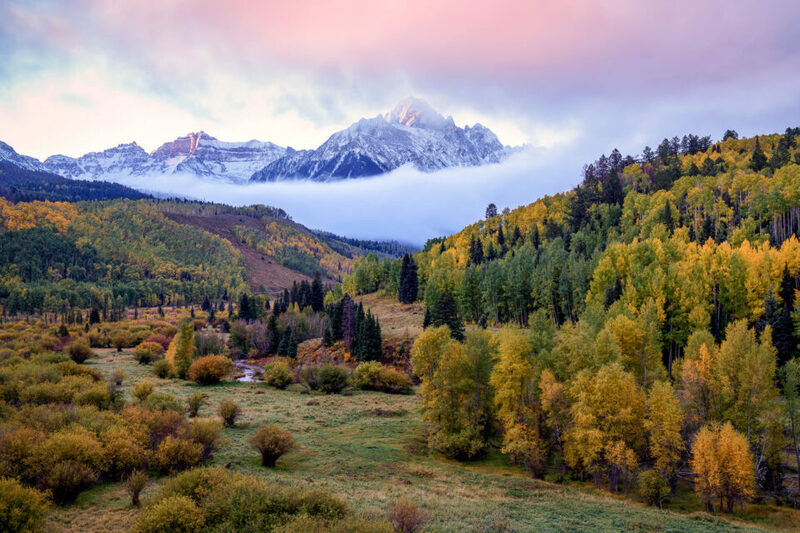 In Colorado, some mountains are best photographed at sunrise, while others are best photographed at sunset. Before you decide when to be at a particular location, I would highly recommend scouting the area first. Mid-afternoon is a good time to scout and estimate where the sun will rise and where it will set. I personally rely on some apps for my iPhone to tell me when the sun rises/sets and where in the horizon the sun will show up and where it will set. My favorite app is PhotoPills – I simply set my location and it tells me everything I need to know. When people ask photographers about the best light, the typical answer is “early in the morning or late afternoon, with the worst light at mid-afternoon”. While it is true for many locations around the world, the statement is not necessarily correct for some regions. 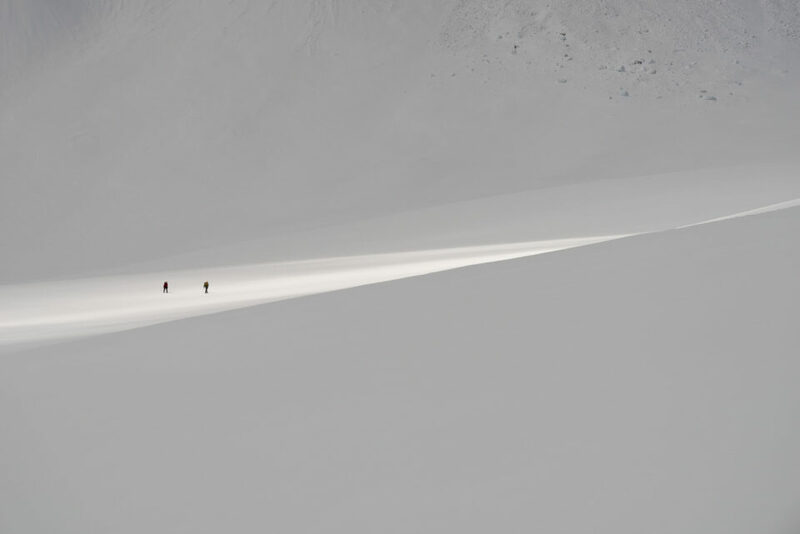 For example, if you live in Nordic countries or shoot in Antarctica, you could shoot all day long with great light. How? It is all about the angle of light in relation to the sun. Direct sunlight that we typically see in the mid-day is the worst, because it creates straight and ugly shadows. But if sunlight is always at an angle, there is no bad time for taking pictures. Sunrise and sunset times are the best, because you see the most amount of colors. So if you asked me when the best light is, I would say “it depends on where you are located”. What about seasons? Again, it depends on where you are. 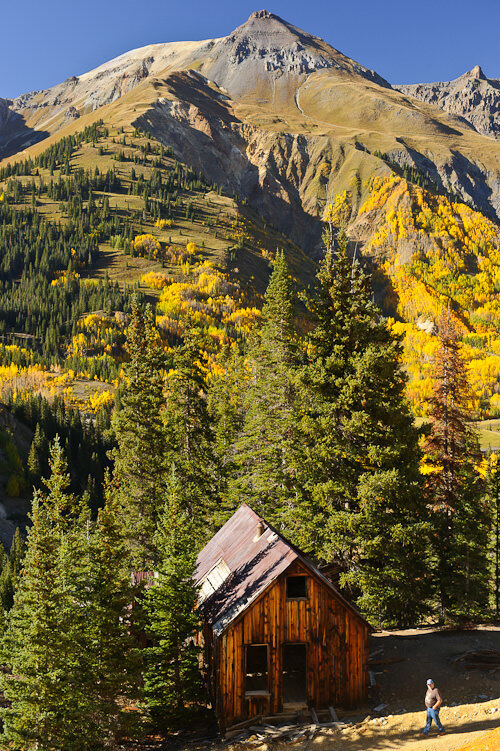 In Colorado, for example, mid-summer is a great time for landscape photography because of wildflowers that bloom in mid-July at high altitudes. In other places, summers are horrible due to heat, too much haze and harsh light. 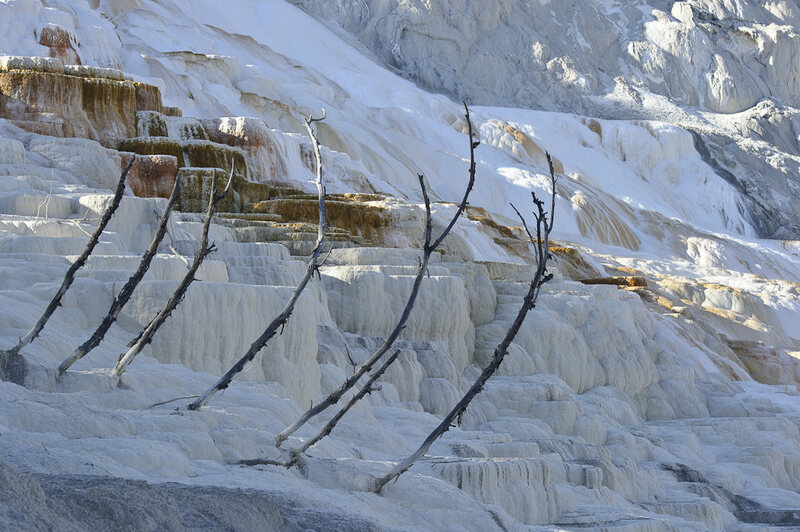 Winters in Colorado are typically hard to photograph due to harsh weather, snow, ice and dangerous road conditions. And yet winters are the best in terms of haze and angle of the sun. Spring and Fall are typically my favorite seasons to photograph landscapes everywhere, not just Colorado. 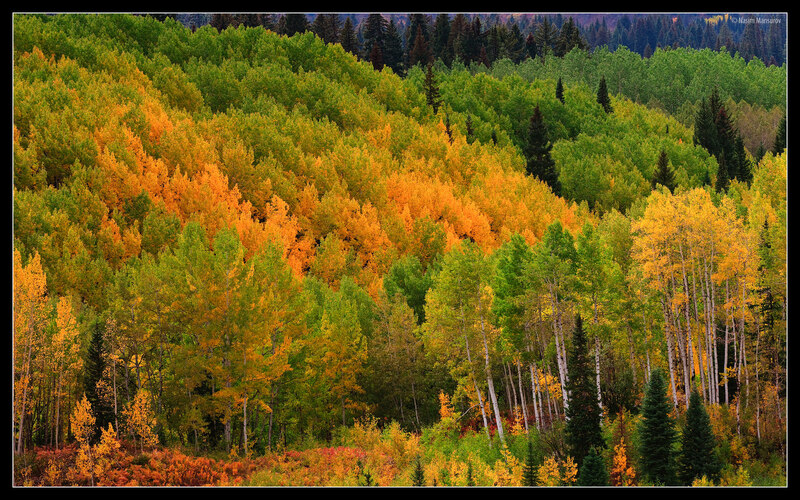 The fall season is something you do not want to miss, especially in places with lots of non-evergreen trees. Some trees and plants go through dramatic color changes. 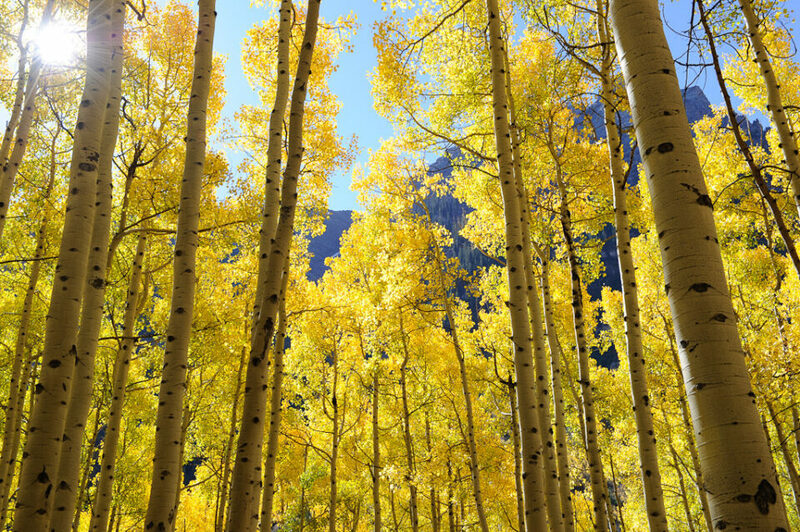 For example, aspen changes its colors several times before the leaves fall off – from dark green to light green, then from light green to yellow, then from yellow to red. In some cases you might even see brown leaves, if there is no wind. This article is a work in progress – I will be adding more information to it in the future. NICE … AND LEARN A LOT ..
Wow, very detailed useful article Nasim. This will be a great help to budding photographers. To protect your gear from the elements, I suggest covers such as those made by ThinkTank or Acquatech. They are great not only for rain, but also sand, snow, salt etc. As a long time medium B&W format photographer I can testify that nothing compares to a “fat, saturated” 6×6 cm negative. Sadly, this is becoming a dying art, just getting the right tools these days is a chore – and medium format digital is out of reach of mot of us, although new cameras and backs may become cheaper. Concerning lenses and FX bodies, a lot of older Nikkor zooms such as the 28-70mm f3.5 give stellar performance at f8+, which is where a lot of landscape work is don. These can be obtained rather cheaply on Ebay etc. Impressive. Many advices are available elsewhere, but this is a good opportunity to remind and improve. Thanks! SIMPLY AMAZING Nasim, this is a “guide of all guides” and I differently will return again and again to this guide! Job well done and thanks for sharing! Thank you Morten! I have not finished it yet and hopefully will keep on adding more and more to this article in the future! First of all thank you for this great article, I think a lot of people will definitely find it very useful! I always wanted to ask you this question since I first saw your ‘Sunrise’ (photographylife.com/wp-co…unrise.jpg) picture. What do you have to obtain the “dusty” effect? To me it just looks amazing. Did you use a filter or is it done through post processing (both probably)? Once again, amazing job and thank you for sharing. Thank you for your feedback Imtiaz and I apologize for a late response! As for the sunrise image, the image is a result of using a Neutral Density filter + some post-processing using HDR and other techniques in Lightroom and Photoshop. HDR is what brought up some of the ground colors to the image, while the sky came out the way it did thanks to the ND filter. Amazing article (once more). Very detailed and full of little useful tricks. So detailed that I will have to read it once more, at least, to grab some important concepts in mind. I have an Hoya circular polarizer almost welded to my lenses but after reading your article, one ND filter will come soon. Thank you. Thank you Murray, appreciate the feedback! Very good! Itcould be useful a printable version. Ну Насим и статьища! Все по делу. All I have to say is WOW Nasim and thank you very much for all the information. I have paid for beginning classes that required 4 two hour sessions and did not provide this much detailed information/recommendations. You really should start charging to read this blog lol. I was also happy to see that my 12-24 and 24-120 f4 is a recommended landscape dx lens set. Next on the menu is the 77mm B+W CPL to be followed by the ND filter. Glad they will fit both lenses. I really appreciate all the info and every time I visit you have more facebook fans. Nice to see others finding your site as useful as me. Unfortunately I am not on facebook so I can’t add to that list, sorry. Yes, the 12-24mm and 24-120mm are excellent lenses and a great combo! Filters work great with these, although I would be careful about using a CPL on the 12-24mm – it will vignette heavily at 12mm. This article, and your entire website, is so incredibly well done and useful. Thank you for all the time and effort you put into this. Eric, you are most welcome! Nasim that sounds great. I own a couple of muffin & bagel cafes (My Favorite Muffin) in the Denver Tech Center area. Next time you are down South – let me buy you breakfast or lunch. It’s the least I can do for all the help you give me from your site!! Thank you so much for taking your time for sharing your experience and teaching us be a better photographer, immensely appreciated!! You are most welcome Leer, glad you found the article useful. You are most welcome Liju! Wow, that is an impressive guide!! A must read to landscape photographers!! Thank you Martins, appreciate the feedback! Noreen, you are most welcome! I will be adding more to this article in the future! Great guide, very well written and organized. I’ve been looking to improve my landscape photography, and I’ve learned a lot reading this. Thank you for your feedback Mariano!!! Excellent artical Nasim. I was actually not aware of the fact of “Hyperfocal Distance” and how to set it. I will try it and let you know in case of any queries. Really appreciate the work that has gone in to making so many informative articles.I think I will read them one by one.Thanks a lot for parting with your experience for the benefit of everyone out there.I am sure anyone who wants to learn more about photography will benefit from it.God bless you. Thank you for your feedback George! Thanks for sharing your knowledge with us. Great article..Its actually a course on photography..Very useful.Thanks again. Absolutely one of , if not, the best site on the net. Great info. The pictures and locations are top notch. Even though I’m a beginner, I have a good sense for when I see great talent. Keep up the good work. One thing I hope to see in the future is the data included with the pictures; camera body, lens, aperture, ISO, etc. Thank you for your feedback DJ! The data is already included in each picture via EXIF Data – I specifically leave it on all of my pictures for our readers to learn. I have been following your blogs and article ever since I have bought my Canon 550D in late January. I can say that most of my knowledge on photography I owe to you. Thanks for creating such a informative and demonstrative blog. It takes a huge heart to write about the skills you have meticulously learnt over the years and I must congratulate you for doing the same. Also the way you respond the reader’s query and solve their day to day problem is beyond appreciation. I have a simple confusion: my camera came with a kit lens 18 – 55 IS f/3.5 – 5.6, which is a generic lens with good performance. For faster performance and portraits I have got a 50 f/1.8 which works good on the APS-C sensor. Now I wanna add another lens which is 70 – 300 to complete the environment for a while. I have zeroed in on Tamron SP70-300mm F/4-5.6 Di VC USD. Can you please guide me whether to buy this lens or not. Fantastic article Nasim, you continue to be an inspiration for many amateurs like myself! I enjoyed reading on all your articles and learned a lot. I’m still newbie on this hobby and love to take landscape but at the same time portraiture. I have D7000 and lenses 50mm f/1.8 & 55-300 mm f/4.5 already. Can you help me to decide what single lens should I invest to fit on both (landscape and portraiture)? Hi Nasim – your site is very informative and helpful. Going forward, how do you feel about tagging your photos with what type of lens you used and the location? Thanks for this awesome site! I am newbie. I have been trying to learn about photography more and more since i had my D5000. This is the first time i have satisfied with what I read. For example, thanks to you i found out that nikon 35 mm 1.8 is not just for potraits. I love this web site. Thank you very much. You are most welcome Olcay! I recently chanced upon this site by googling “D300 tips and tricks”.. and little did i know i had stumbled upon a goldmine of information so elaborately and neatly put, i was hooked and i couldn’t stop reading your other articles and looking at your pictures. They are fabulous ! I am an enthusiast and have been playing around with cameras and lens for a few years now when time permits. My first encounter with a SLR was with a Yashica Electro 35 that my cousin had and i was hooked. My first DSLR was a Nikon D70s. I still have it and would never get rid of it. But just got a D300 recently and its mind boggling in its scope and functionality. I think camera’s are reaching a point where we need AI systems to do all the settings for our voice commands. A Siri for the Nikon would be cool at the rate at which the tech wizards at Sendai Nikon are taking this instrument, mechanically and optically. Makes you wonder “Why didnt i think of that? It was that simple !”.. Hats off to you sir ! Appreciate all the time you spend from your family and work to enlighten us mortals. Shows your passion. Hi Nasim… really loved your website! Found your site when i was searching for reviews on Nikon 70-300 lens. Youve got awesome reviews and I loved each an every lesson/tip you have posted in this site. Keep up the great work :) Wish I had stumbled upon your site much earlier! I have a question regarding the Aperture used for landscapes. I have heard that anything beyond f/11 or f/16, diffraction sets in, robbing sharpness. Given that,doesn’t landscape photography require large f-stops? And the pictures are still sharp ! Or, do some lenses have good sharpness throughout their f-stops that make them ideal for landscapes? This has to be one of the best or THE best photography blog i have ever visited. So suprising that it took me a long time to stumble upon this. Your articles are very helpful, easy to digest and very well organised. It has helped me alot and am sure so many other photographers would agree. It seems that many great photographer bloggers use Nikon. I don’t know if this is a coincedence or it is because the knowledgeable ones know which to use. I use canon anyways, though it is not important and i do not want to start the brand argument. Anyways, thanks for these useful guides. Looking forward for the next posts. Awesome Article! Can u reccomend a lightweight tripod/octopus for using with a Nikon d90 ? Great collection of articles, nicely written & simple enough even for the beginner. I’m just starting to take baby steps to decide on a camera. I’d love to get into landscape photography, something similar to what you have in this article. It’s a long way to go to have the skill to produce such amazing images, but for a starter, I’m thinking of getting the Nikon D7000. Apparently it doesn’t have full frame like D700 but it’s by far more reasonable in terms of price. Any advice! Thank you sharing all this information with us. I have been reading your blog since I bought my D90. I am having so much fun about it and ready to advance to new lense. I am currently owning the kit lense, 18-105mm. Majority of the pics that I took are landscape and potrait. I am thinking a better lense for landscape, either Nikon 10-24mm f/3.5-4.5G DX or Nikon 16-85mm f/3.5-5.6G. May I know what are the main differences between these 2 lenses? which lense will be more compatible to D90? is 16-85mm kind of overlap with 18-105mm? i am speechless. i wonder how could i missed your website and your tremendously erudite articles. thanks for every single line you have written. Thank you for a great tutorial. I’m an aspiring nature photographer and I found it very usefull. Although I don’t have the best equipment (D3100 and some filters) I now feel more confident that my pictures can yield atleast abit better result than before. That is really amazing! With so much of details and good stuff, I really learnt a lot from your articles. Such a great stuff, I have no regret to address you Nasim, as my “Sifu”. Looking forwards to learn more from you, Sifu. Hi Nassim, happen to stumble on your website today of which i find this very informative for a rookie like me. i knows there’s still a lot of things to learn to be able to get those great photos like yours. but anyway, i have the Nikon D7000 with 18- 105mm and 55- 300mm lens. i know you didnt even mentioned these lenses in your column but so far these two lenses are the ones i’m using and i’m trying to get the best out of these. by the way i like landscape or nature photography. as i read through your column you mentioned 14x24mm lens as the best lens for this kind of photography so with 16x85mm and 17x55mm as combo lens for the same use. you know i’m looking for a lens that i can use for different types of shots. which of the three lenses would you recommend. thanks for your time Nassim, keep up the good work and thanks for sharing !!! Just stumbled onto this site. Great article and fantastic web content overall. Nasim, great article–would love to see an update section based on the recent camera bodies that have been added as some have really amped up megapixels like d800, and others have gotten into the mid 20s. Thanks! 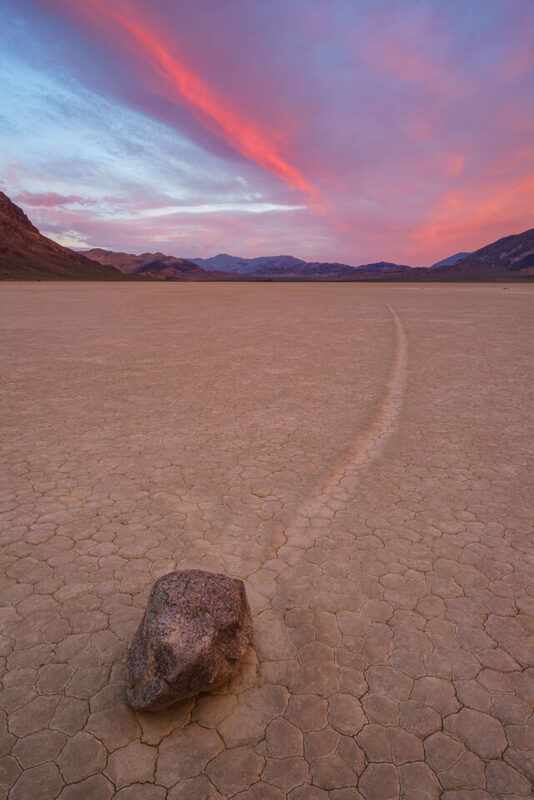 Best article I have read so far on landscape photography. 1- why do we have to buy expensive ND filters while we can do a similar job in Lightroom with the “Graduated filers “M” ” ? 2- Why trying to avoid to make HDR images in landscapes, by using ND filters ? It has been a few years since you wrote this article. Since then, as you know, the Mirrorless market has exploded. Could you add to your list of recommended cameras based on your recent experience with mirrorless? What’s your favorite mirrorless specifically for landscape photography? Hi Nasim, instead of using all those filters you suggested, would i be able to get the same effect as using those filters by shooting RAW and then tweeking it on lightroom? Would i essentially get the same results? Hi Nasim…What about a D3200 ?? I mean it has a large image sensor for a cheap entry level DSLR…Will it be good for Landscape photography ?? I really liked your article Nasim :). I’m a photography student from South Africa, and I have been very interested in doing landscape photography in SA. Problem is, it’s not as big as fashion, wedding, photojournalism etc. so I hope one day that could change. I really appreciate your site and all you do to educate everyone. I do have one photography question though and as I’m not sure where to post it, this seemed like a somewhat relevant thread to ask for a review or information on underwater photography options for cameras, gear, and techniques unique to that environment. What would you recommend for fader ND filters like this? Wouldn’t they make a better choice as you can pretty much use 2-8 stops just by rotating the filter? First of all thanks a lot for the articles – I’m learning a lot from your website! I have a D7100 with a 18-200 f/3.5 that came with the kit. Would you recommend getting the 24mm f/1.4 instead of it? Great review as always on landscape photography. I do not understand why Nikon and other lens manufacturers creates lenses with aperture well over F11, if diffraction is a serious problem. I own the 10-24 F3.5-4.5 DX . This lens aperture can go as high as F27. Can you explain their reasoning on that subject ? I took a few pics at F27 and the images don’t seem as sharp as at F8. Yes it creates much more depth of field but it also shows any dirt located on my camera sensor with much softer images. Luc, it is better to have options than no options at all. Sometimes people are OK with taking pictures at very small apertures, even if diffraction negatively affects images. I have done that myself a few times when I needed maximum depth of field. With good post-processing technique and some down-sampling, those diffraction issues could be minimized a little. 1) I looked at some other shots taken by other photographers (throughout google) and they just don’t seem to capture the crispness of the images you have. Is that pretty standard with this lens, or does it come down to the addition of filters/etc.? Here’s an example of a shot. They just can’t match the images above in terms of clarity and vibrance. 2) This is my first time even realizing how filters work. Of the three you listed as your choice filters, what’s the difference between 2 and 3? Which one is your graduated ND filter? And how do these affect images outside of landscape photography? 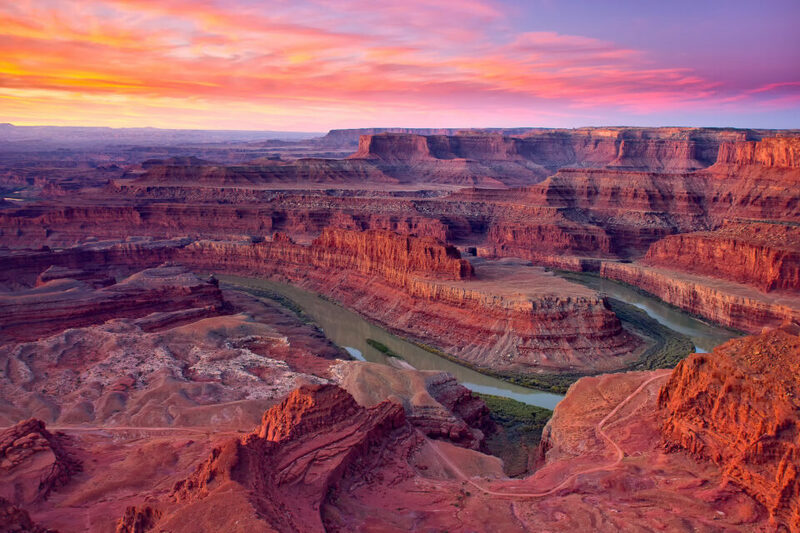 I have been admiring the beautiful Dead Horse Point Sunrise wallpaper photo that you have posted elsewhere on your website. The sharp focus throughout the photo is amazing. I just wondered if you remember what method you used to obtain that level of sharpness. 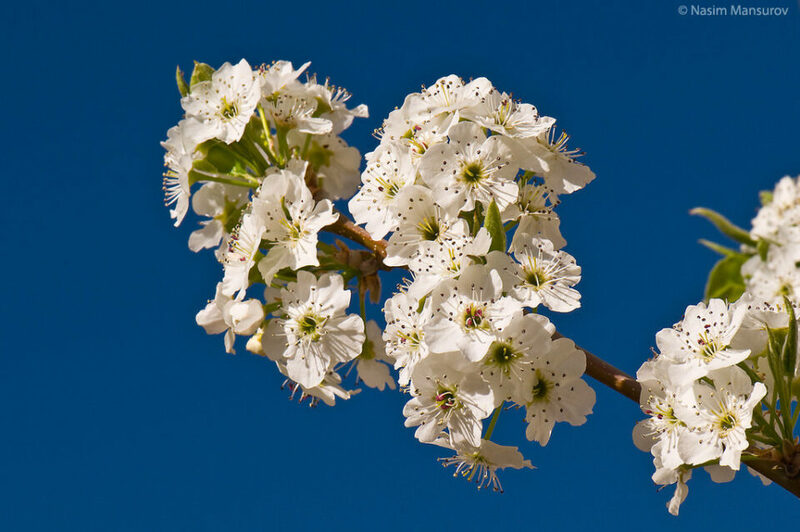 Did you use focus stacking? I read this article a few years ago right after getting my first dslr, a D70s. At that time a lot of what I read was over my head. I just read it again and most of it makes a lot more sense now. A little over a year ago I purchased the D7000 and really like it. As recommended from your reviews and articles I purchased the Nikon 12-24mm f/4G ED IF AF-S DX Nikkor Zoom Lens and love it. I have wanted to extend my zoom a little bit and was about to purchase the Nikon 24-120mm f/4G until I happened upon the Nikon AF-S DX 18-140mm f/3.5-5.6G ED VR Lens. If you could please give me your insight as to which one might be the better choice, I would greatly appreciate it. Very well written Nasim. I just made landscape photography my new passion and this is an awesome resume. All of your articles helped me a lot as I’m sure they helped most of beginners. Thank you for sharing your knowledge! Fantastic Article. Very resourceful. Lets have “Landscape Photography Guide”- Part 2 in 2015. So many lenses have been launched since 2010. To name a few, Tokina 11-16 will be one such. Few Prime lenses in that range have also come out. Your site is a wonderful source of inspiration for all of us. I hardly miss any Article in recent times. I am a beginner and I can improve so much skills for the next few years thanks to your articles. fantastic advice. thank you for taking the time to share. For an ultra wide angle lens that accepts screw in filters the Nikon 18-35mm f3.5G is a sharper lens than the 16-35mm f4 lens. There are at least 3 companies making filter adapters and polarizing as well as ND filters for the Nikon 14-24mm f2.8 lens, so the only real drawback is its size and weight. Great article. How would you rate the recent Nikkor 1.8G lenses (e.g. 20mm / 24mm, even the 35) compared against the original lens list? Great tips your blog is amazing and so much information to assimilate. Thank you so much. great article – thanks a lot!!! Goodness me!!! What a comprehensively informative and passionate tutorial this is. I have just bought my first DSLR ( Nikon D3300 ) with some filters and such around a month ago. I used to be an auto-photographer (ie using a Point-and-shoot camera) and thought I did alright. But since I have gone DSLR and manual; I find that the more I learn the more I don’t know. Thank you so much for inspiring me to learn more. Very educative Nasim. Thanks. This whole article is a one stop place for learning about photography in general, including landscape. If my photographs were to get appreciated, then I would say part of the credit would go to you as well ! It’s like Eklavya learning from Drona ! I just came across your articles and must tell you that I am going to read as many as possible. I have already learned so much. Your explanations are easy to understand. Your sample photos are fantastic. It is going to be educational and fun reading your work. 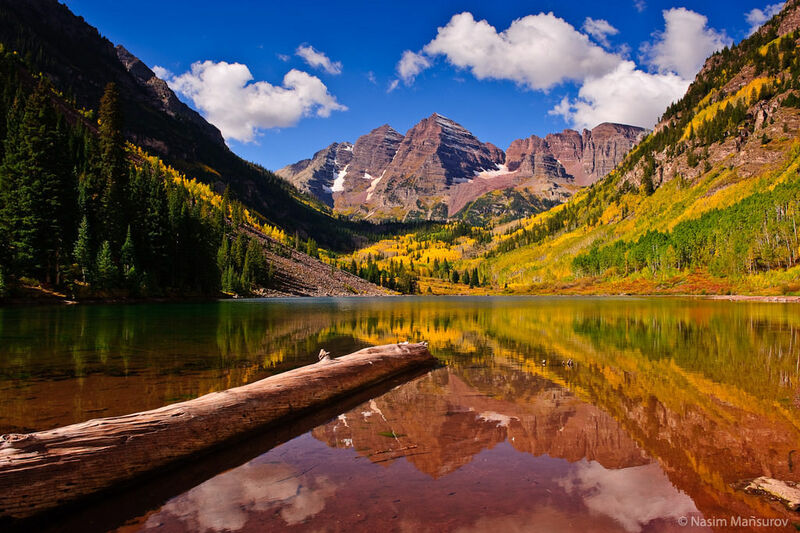 I was just commissioned to take a wide format landscape image for a client in Aspen, CO where I live. Your article was incredibly informative and addressed variables I never would have even considered. I appreciate you sharing it and it’s still helping some of us years after your original post! Thank you! Your article is a tutorial, reading it after 8 years of you writing it still makes complete sense and so much to learn in it. Keep them coming, your articles have become must read for me and every time i read i learn. Thank you for sharing your experience and talent with the world. Although I am not a professional photographer, and I just like taking pictures, I have learned a lot from just this one article. Looking forward to reading more!